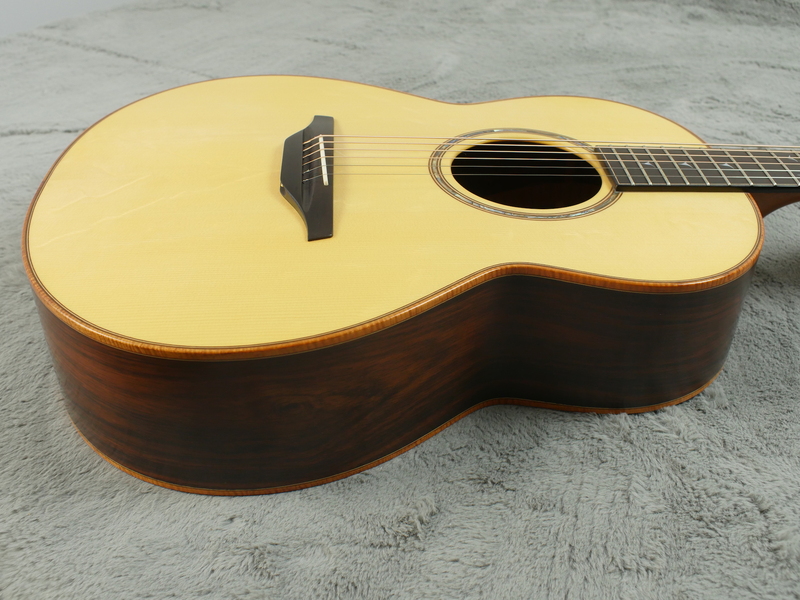 Not common sight amongst the the vintage finery but this Mcilroy AS76 from 2012 certainly deserves its place here at ATB Guitars. 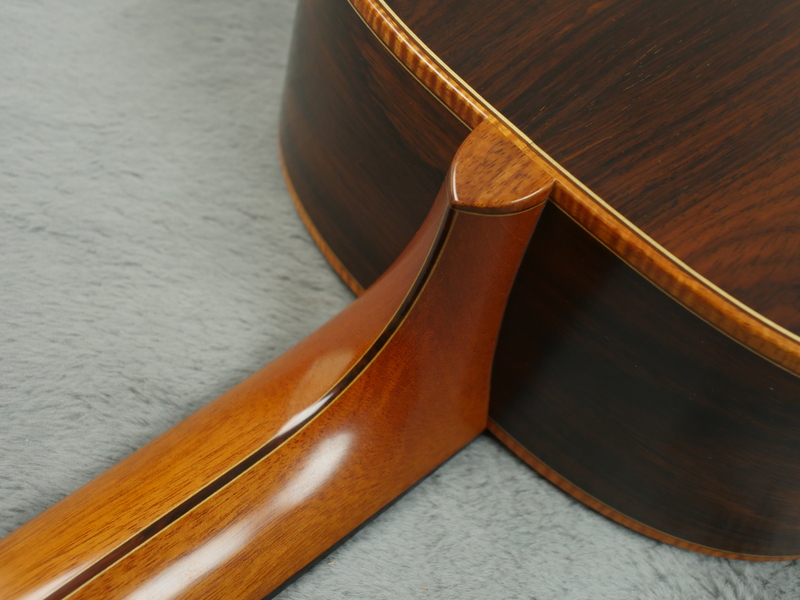 An alumni of George Lowden, Dermot Mcilroy spent 10 years crafting their instruments before financial constraints forced him and his wife to take the step of going into business themselves. 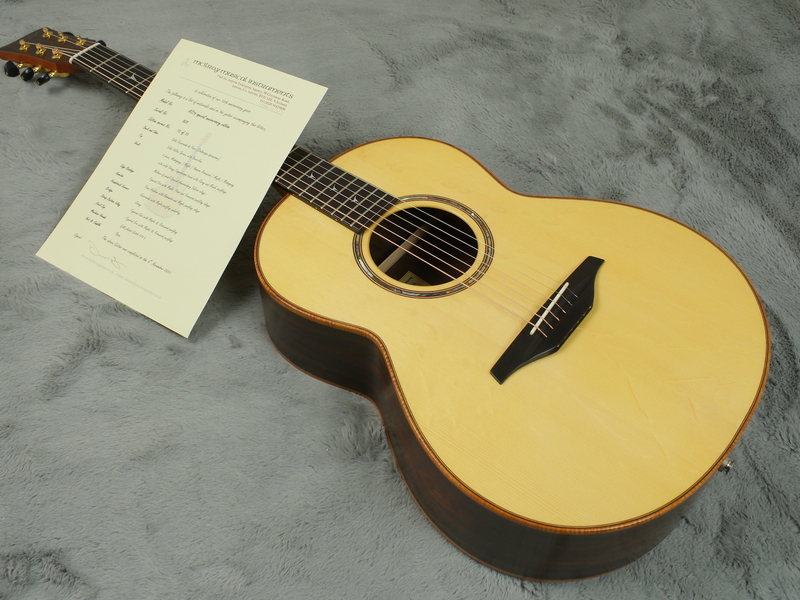 This guitar represents a run of 10 guitars (of which this is the 10th) built to commemorate the 10th anniversary of their venture which goes from strength to strength and includes their two sons. 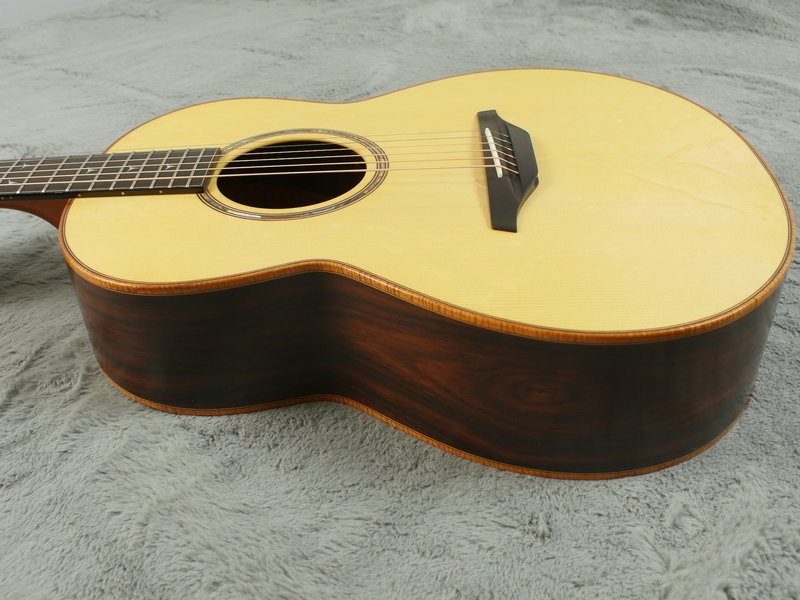 This guitar is truly spectacular. 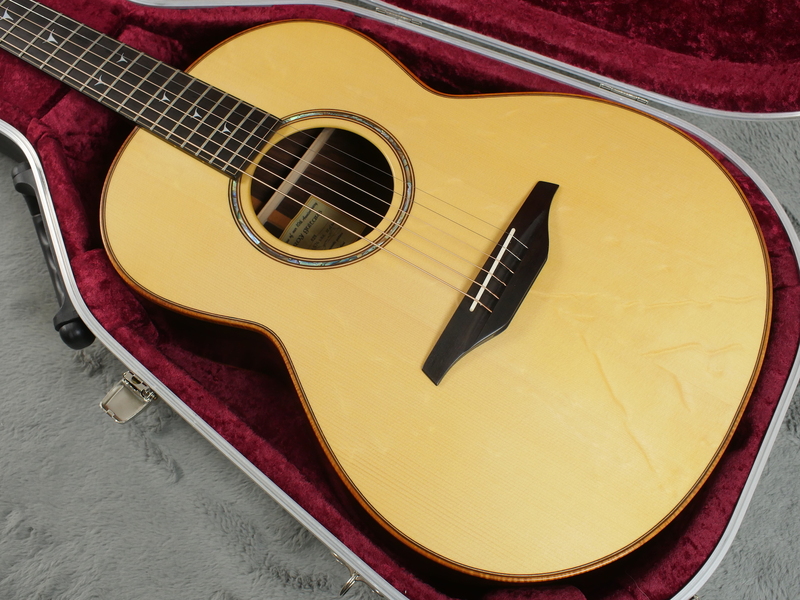 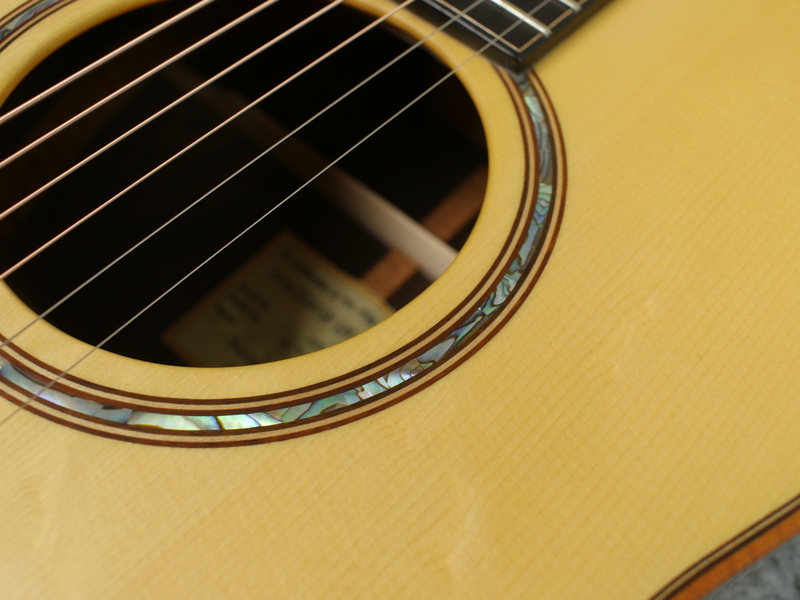 The Lowden influence is evident but does not define the guitar. 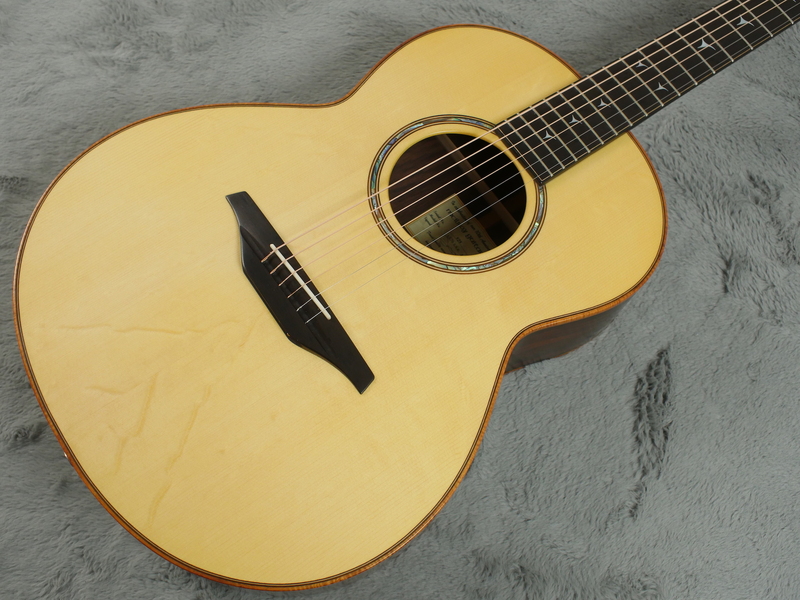 The Italian Bear claw spruce top, which is a shallow, cross-grain curl that seems to increase cross-grain stiffness, is very refined. 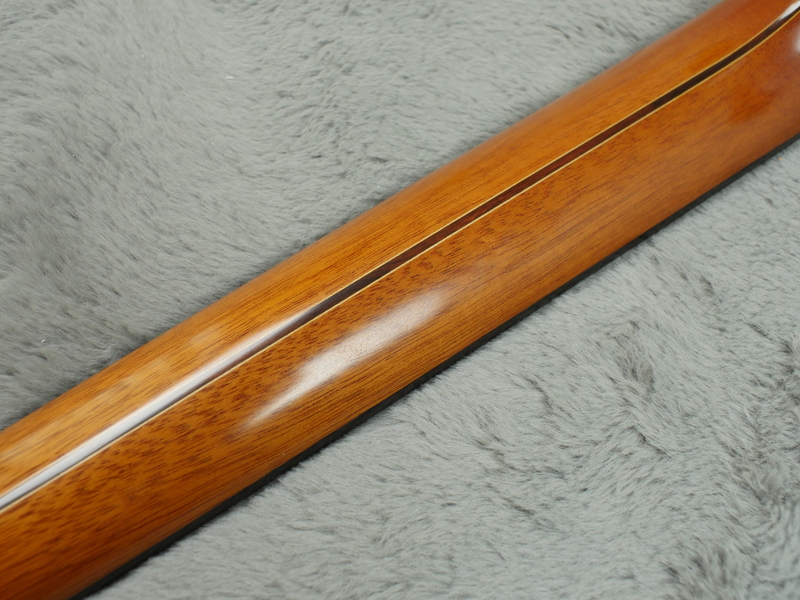 According to most luthiers, the bearclaw enhances the tone and sustain of the wood. 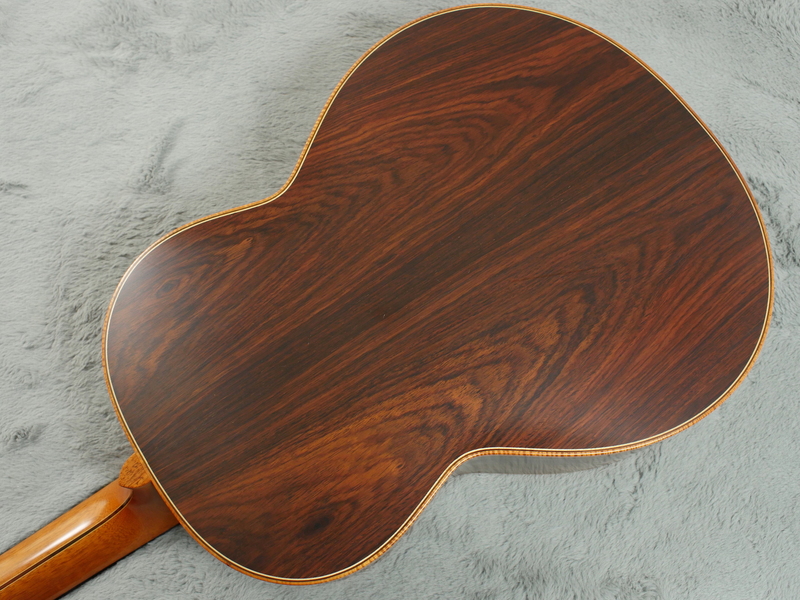 The back and sides are made of Jacaranda do Para and which has a stunning grain pattern, framed by the figured Koa, Maple, Pear and rosewood binding. 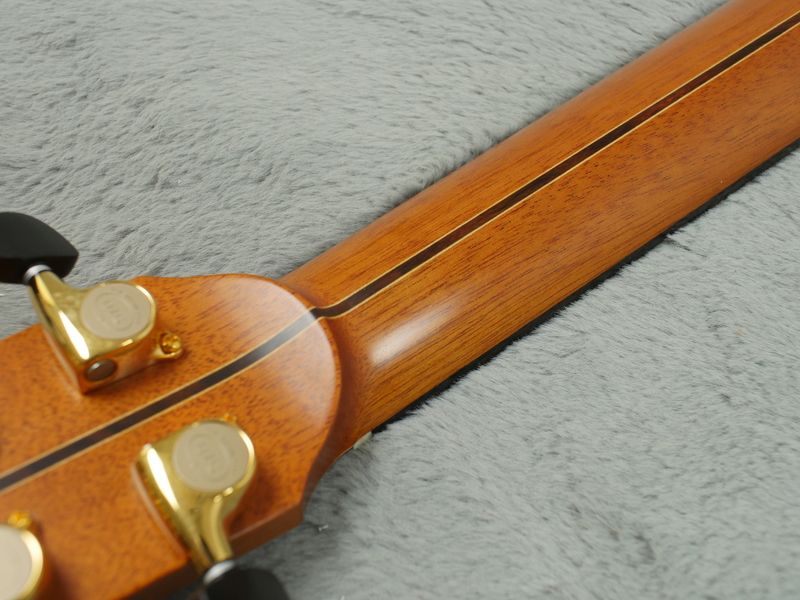 The neck is a 5 piece Mahogany, Maple, Amazon Rosewood, Maple, Mahogany sandwich crafted into a comfortable V profile topped with an Ebony fingerboard. 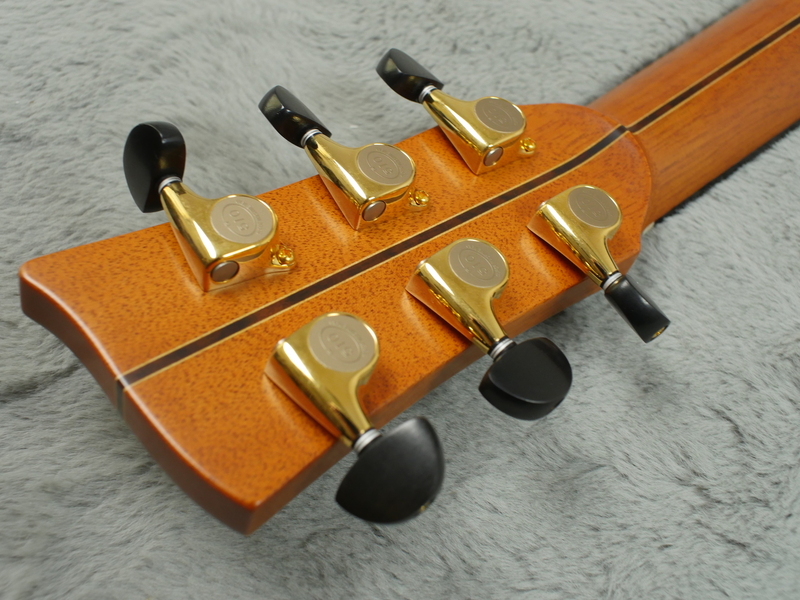 The overall package is very classy with just the right amount of mother of pearl inlayed in the neck and headstock and the gold plated Gotoh tuners being nice touch. 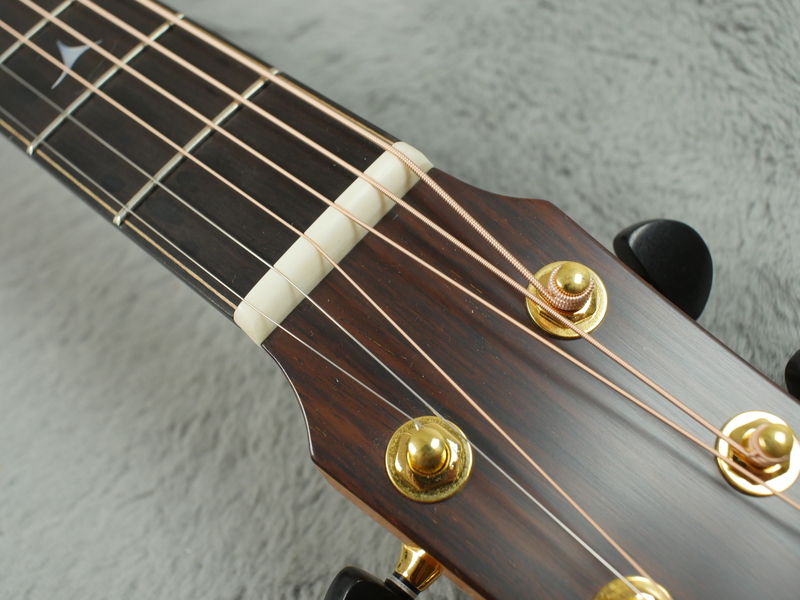 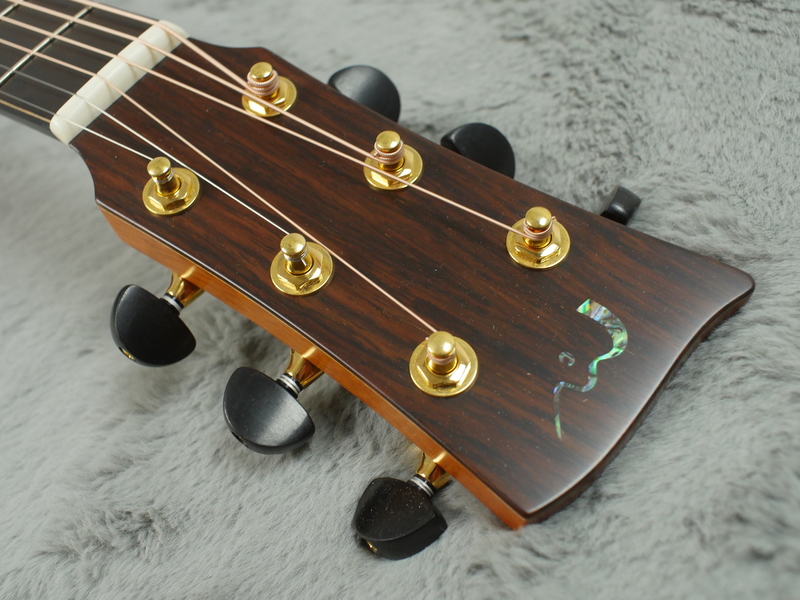 The nut width is 45mm with string spacing at the Ebony bridge being 55mm. 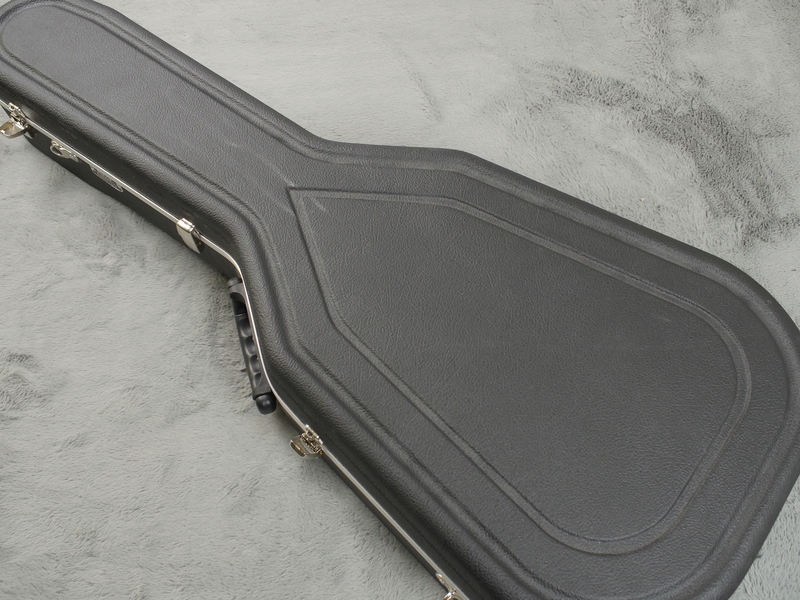 The guitar comes with a Hiscox hardshell case. 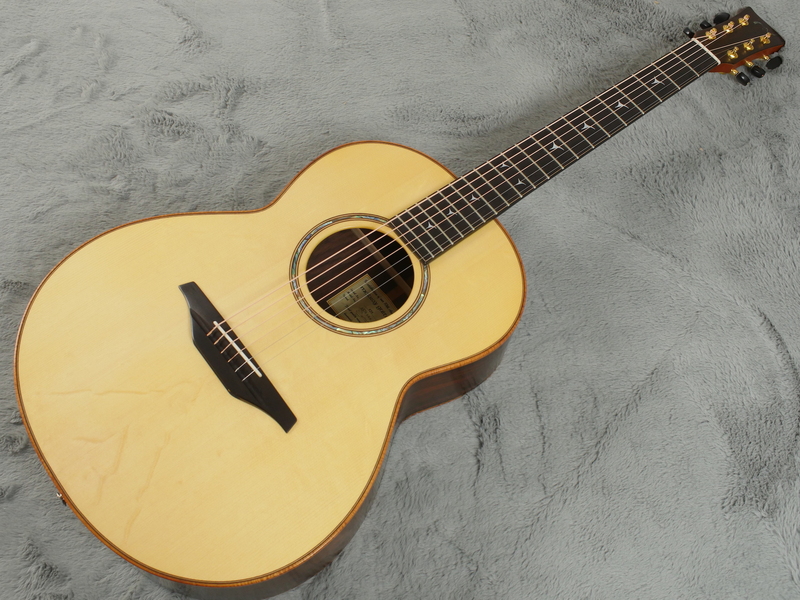 Sonically this guitar is so very well balanced, as you’d expect. 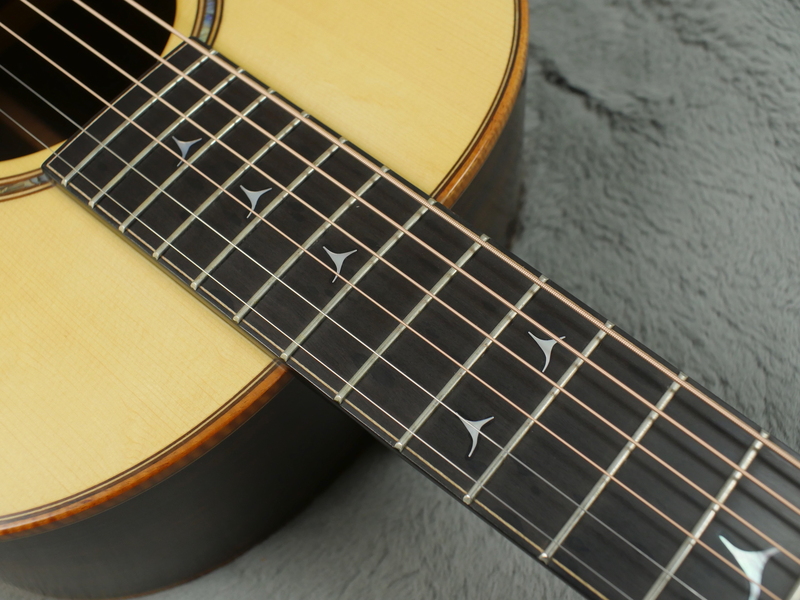 Each string rings clearly, the string spacing and neck profile making this instrument a joy to play both for chordal work and fingerpicked. 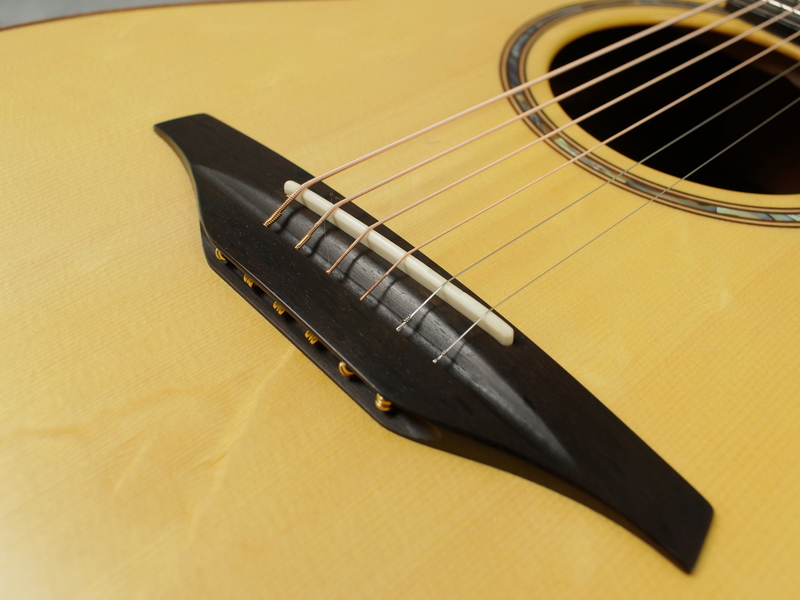 The articulation achieved when picking individual strings is superb and theres a gentle power to the overall tone. 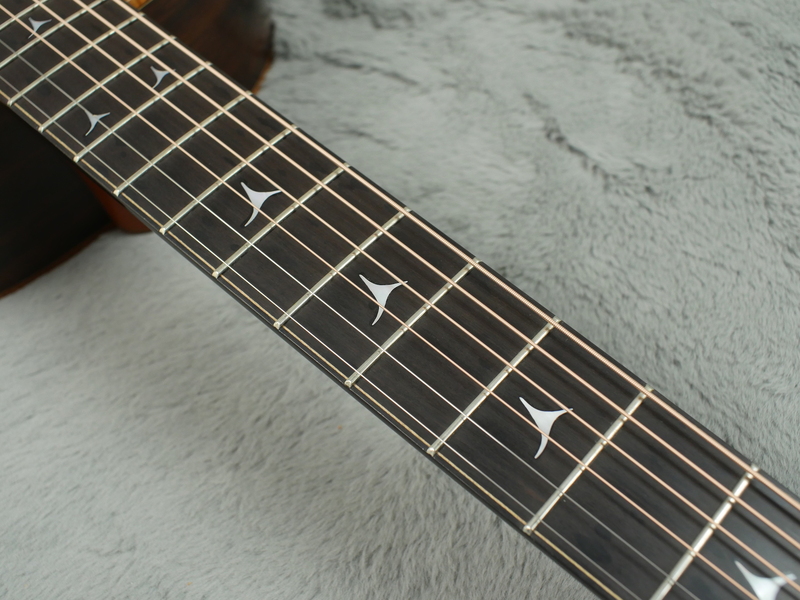 The guitar is also fitted with a Fishman AG 125 piezo pickup. 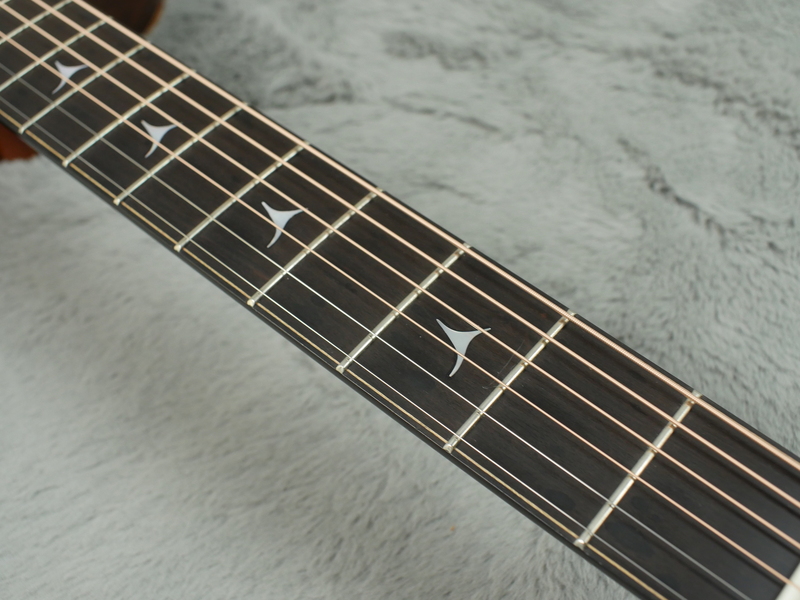 There is no onboard control but according to Fishman, the pickup is designed to be plugged into an amp. 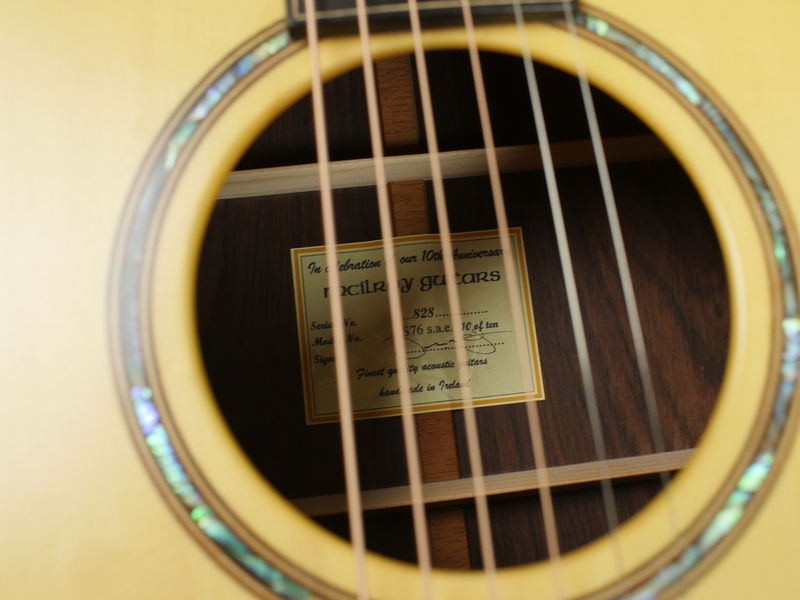 It certainly works well to amplify the sound of the guitar but would probably benefit from having a preamp. 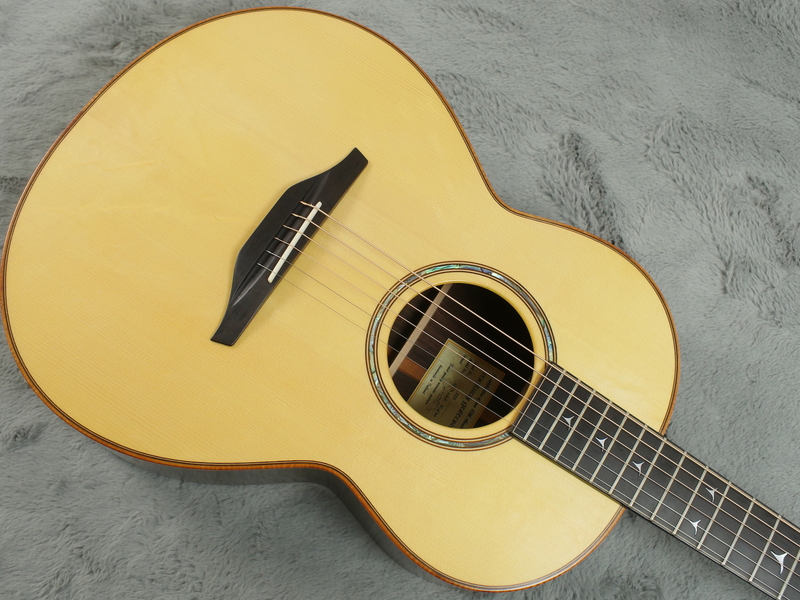 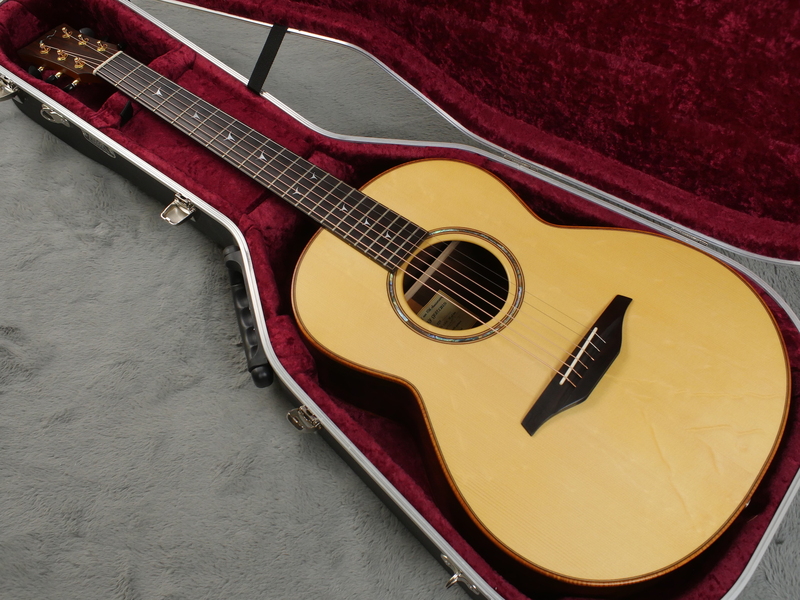 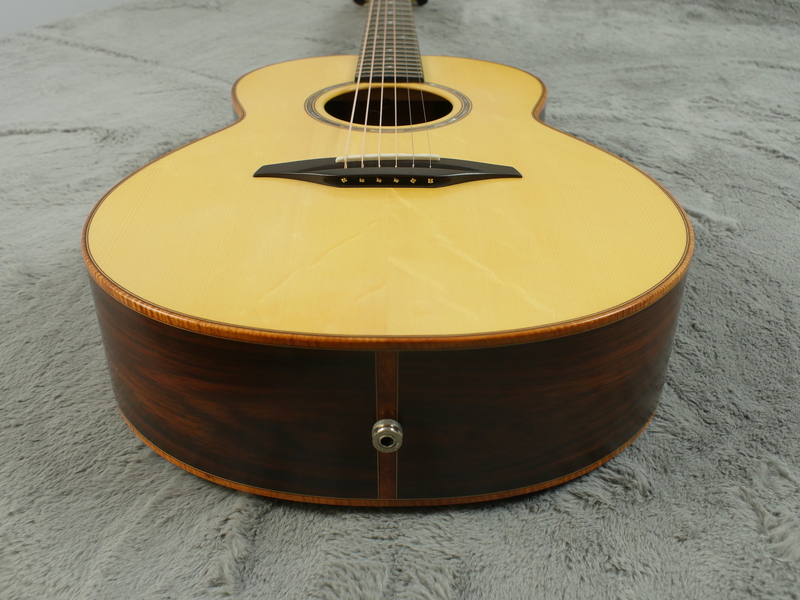 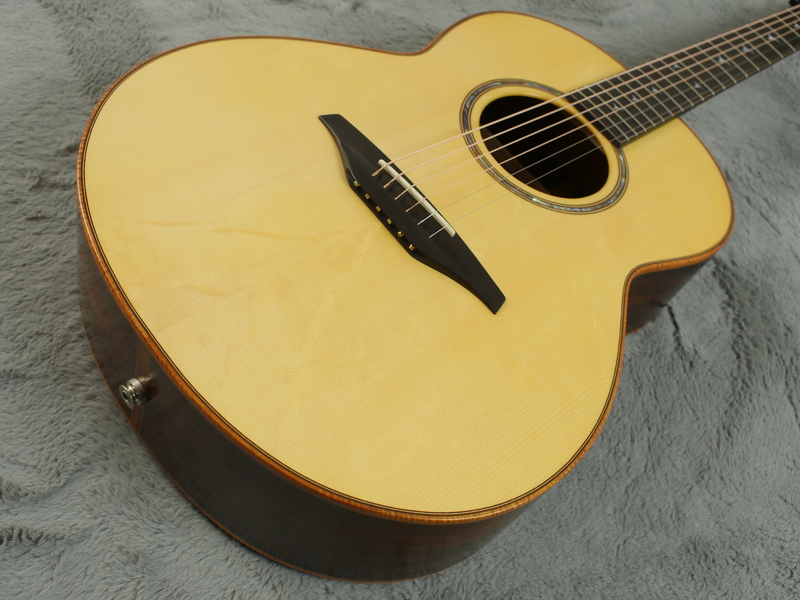 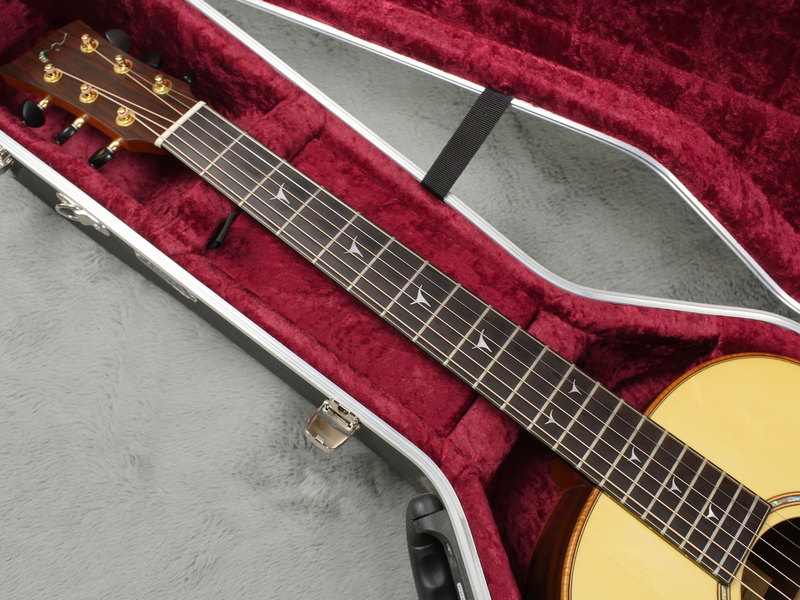 This guitar is a must for any musician thinking seriously about an acoustic guitar purchase. 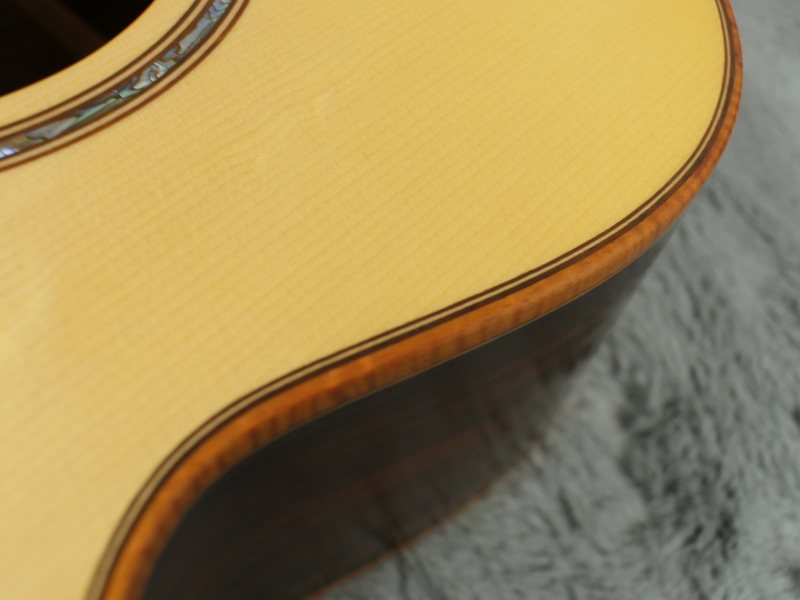 These are handcrafted with the utmost attention to detail and the end result is evident here. 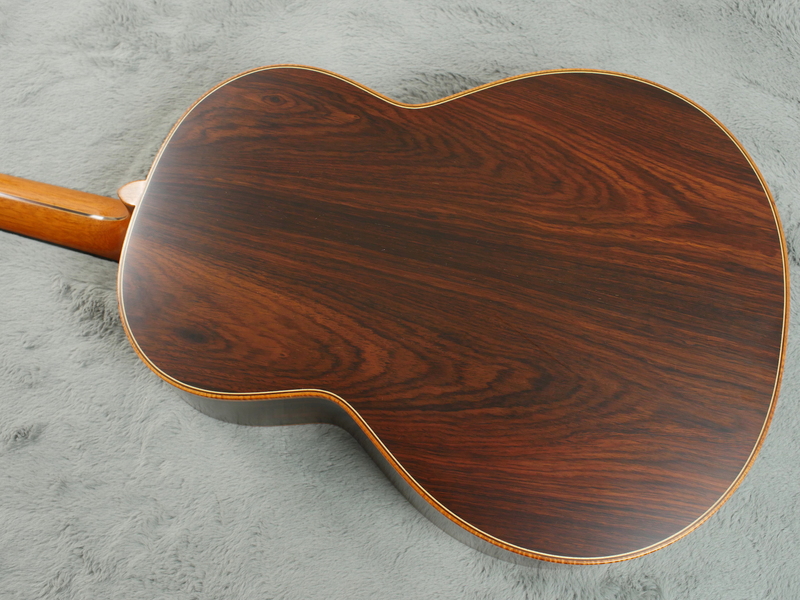 This sensational guitar will only improve with age.